GET IN TOUCH! If you'd like to be added to our resource listings, tell us about your work, or submit an image for possible use on our website or social media channels, we'd love to hear from you. If you're sending a photo, please send your image with caption and credit information. Art In City Hall, an initiative of the City’s Office of Arts, Culture and the Creative Economy is presenting Reflections, a showcase of visual artists whose works are inspired by jazz. The history of jazz in Philadelphia has had an extraordinary impact on the cultural life of the city, from the numerous clubs that ran along 52nd Street in West Philadelphia, Columbia Avenue in North Philly, and South Street during the 50s and 60s, to the Showboat and Downbeat clubs of a prior age. The Reflections exhibition on the second floor provides an opportunity for visual artists to show how jazz crosses disciplines and inspires their own work. As part of Philly Celebrates Jazz, the Art Gallery at City Hall will be transformed into a listening lounge where visitors can experience Philadelphia’s jazz scene and explore past Jazz Appreciation Month awardees through an interactive exhibit of music, books, photographs and more. This interactive exhibit is on public display at City Hall, Room 116. Art in City Hall features exhibitions in the art gallery, public corridors, and display cases throughout City Hall. The exhibitions highlight the diverse cultural vibrancy of Philadelphia and showcase artwork by professional, emerging, and aspiring artists. Manayunk will kick off Philadelphia’s Jazz Appreciation Month with its own JazzFest: a 3-day live music celebration featuring 30+ acts of gypsy jazz, traditional jazz and blues, Latin jazz, jam sessions, and everything in between! Headlining this festival are legendary saxophone players Bootsie Barnes and Larry McKenna, whom after 80 years of living and playing in the same city finally recorded their first album together The More I See You. Resumes combined, these musicians have recorded and performed with names such as Frank Sinatra, Tony Bennett, Rosemary Clooney, Lee Morgan, the Heath Brothers, Stan Getz, Philly Joe Jones, and countless others. In Conversation with Reggie Workman Performance Studio at WRTI 1509 Cecil B. Moore Ave.
Join Odean Pope and his Sounds of the Circle project for a spring afternoon of conversation with renowned bassist Reggie Workman, and music by jazz-masters Odean Pope, Tom Lawton, Craig McIver, and Lee Smith. Seating is first-come/first-serve. Space is limited. Suggested donation of $15.00 online and at the door. Sounds of the Circle is a composing, performance, mentoring and archival project that translates for today’s audiences the innovative musical ideas that inspired Philadelphia jazz icon Odean Pope when he was coming of musical age in North Philadelphia in the 1940s to early 1970s——ideas that inspire Odean to this day, and that provide enduring fuel for Philadelphia’s singular and evolving jazz legacy. Sounds of the Circle has been supported by The Pew Center for Arts & Heritage. 1509 Cecil B. Moore Ave. Through our Music Education Program, with support from the Lois and Julian Brodsky Music Education Fund, PCMS offers free in-school master classes to music students from the Curtis Institute, Temple University, Academy of Vocal Arts, Settlement Music School, Temple Music Prep, Play on Philly, and public and charter schools around the city, providing technical, expressive, and historical insight into the music they perform. Conducted by the same musicians PCMS presents in concert, these unique classes offer students at all stages of musical development the opportunity to be instructed by internationally-renowned artists. If you plan on attending a master class, please confirm the date and time (as classes sometimes change last-minute) by calling 215-569-8080. Join us for an hour of interactive fun as we introduce kids to the vibrant world of jazz and/or musical theater, where kids will learn to sing, dance, and use their imaginations during our fun-filled, monthly adventure! And best of all, IT’S FREE! This month, Luke Carlos O’Reilly will take you on a New Orleans Jazz-themed adventure! The Kimmel Center is the recipient of partnership funding through the nationally recognized PNC “Grow Up Great” program to help prepare children from birth to age give for success in school and life. Celebrate Jazz Appreciation Month by Honoring Revolutionaries of Jazz and supporting youth programs. In celebration of Jazz Appreciation Month, the Spirit Lives through Jazz Fellowship honors Kim Tucker and Lovett Hines. Celebrate Jazz Appreciation Month by Honoring Revolutionaries of Jazz and supporting youth programs. In celebration of Jazz Appreciation Month, the Spirit Lives through Jazz Fellowship honors Kim Tucker and Lovett Hines. An incomparable assembly of musicians – Hiruy “Henry” Tirfe and friends featuring, Lee Smith, Nazir Ebo, Neil Podgurski and Vocalist Tanqueray Haywood — pay tribute through music to these Revolutionaries of Jazz. Philadelphia, PA: Hiruy “Henry” Tirfe & friends featuring (sax), Lee Smith (bass), Nazir Ebo (drums) and Neil Podgurski (keys) will be joined by vocalist Tanqueray Haywood to honor and celebrate Revolutionaries of Jazz Kim Tucker and Lovett Hines at Philadelphia’s Canaan Baptist Church, 5430 Pulaski Avenue, Saturday, April 6 2019. The fellowship will begin at noon and includes an African marketplace and food vendor My Blue Heaven. The first set starts at 1 p.m. Proceeds from the fellowship will support youth programs at Philadelphia’s Canaan Baptist Church. The Spirit Lives through Jazz Fellowship presents young phenom Hiruy “Henry” Tirfe and friends. Henry is a musician/saxophonist born in Philadelphia and raised in Upper Darby, Pennsylvania. At only 24 years of age, Tirfe has perform with The Roots, Joey DeFrancesco, Chill Moody, Solange Knowles, Eric Roberson, Jay Bratten, Robin Eubanks, Ted Nash, Killiam Shakespeare, Bilal Oliver, Patti La Belle and many other artists. Tirfe is also a two time “Outstanding Soloist” winner at the Next Generation Jazz Festival (2016,2017). Henry will be joined by Lee Smith on bass, Nazir Ebo on drums, Neil Podgurski on keys and vocalist Tanqueray Hayward as well as other special guest. We will also be honoring two revolutionaries of the Philadelphia Jazz Scene, Kim Tucker and Lovett Hines. Jazz Promoter, Consultant, Jazz Bridge program director and Jazz historian Kim Tucker will be honored for her committment to the Philly Jazz Scene. Kim is a 2nd generation Jazz promoter, who is following in the footsteps of her mother Sue Ford. Lovett Hines is the Music Education Director at the Philadelphia Clef Club of Jazz, and the developer of its world-class music education program. Since 1985, students in the program have participated in a broad range of activities including private instruction, master classes, ensembles, summer jazz camp and live performances around the US. Many graduates of the program include major jazz artist like Christian McBride, Joey DeFrancesco and Jaleel Shaw who have gone on to successful careers in music. The mission of the Spirit Lives through Jazz Fellowship is to (1) preserve the jazz music tradition, (2) bring the best of African-American musical traditions to the community, and (3) sow a portion of the proceeds back into children’s programs. “What better way to celebrate Jazz Appreciation Month than to celebrate two Jazz Revolutionaries whose lives embody these ideals,” said Joey Harrison the event’s producer. Tickets are $20 (children 17 and under free). Kimmel Center’s Creative Music Program: Mill Creek Youth Brass Band was inspired by the traditional “New Orleans” Brass Band which is a direct influence to contemporary jazz. The free music education program that started earlier this year is coming back to West Philly in the fall! Brent White, Jazz Education Programs Coordinator of the Kimmel Center, spearheaded the idea of expanding the Kimmel’s community outreach efforts to the neighborhoods surrounding Lancaster Avenue in the spring of 2018. Children and youth participated in a free 20-week pilot program specifically geared towards trumpet and trombone lessons, along with music appreciation. Classes were under the direction of Jamal Jones, a teaching artist for the Kimmel Center’s Creative Music Program. Twelve students completed the program and those that showed interest in pursuing their instrument of choice received an instrument and 40 hours of instruction. The students kicked-off the 12th Annual Lancaster Avenue Jazz & Arts Festival in July 2018 with a mini-parade and performance on the Festival stage. The workshops will be held on Tuesdays from 3:30pm to 5:00pm (beginning on September 25). Students in 4th to 6th grade from neighboring schools and after-school programs are welcome to participate. No experience is necessary! Enrollment is open from September 2018 to May 2019. Students who participate year-long will be eligible to receive a free trumpet or trombone upon completion of the program. For more information, on registration and questions email Brent White at BWhite@kimmelcenter.org or Cass Green at cgreen@pec-cares.org or call 267-777-5893. Jazz trumpeter and composer RANDY BRECKER has helped shape the sound of jazz, R&B and rock for more than four decades. His trumpet and flugelhorn performances have graced hundreds of albums by a wide range of artists from James Taylor, Bruce Springsteen and Parliament/Funkadelic to Frank Sinatra, Steely Dan, Jaco Pastorius, Frank Zappa Stevie Wonder, Billy Cobham and Hal Galper, to name a few. In 2007, Randy was awarded his fourth Grammy for “Randy Brecker Live with the WDR Big Band” (Telarc/BHM), the live recording (also available in DVD format) of his performance with Michael at the Leverkusen Jazz Fest in 2004. Tragically, Michael passed away that same year on Jan 13th. As a composer, performer and in-demand Yamaha clinician, Randy Brecker continues to influence and inspire young musicians around the world. Be a part of documenting Philly’s jazz history! Do you have photographs, programs, flyers, clippings or other archival materials related to jazz in the Greater Philadelphia area? Bring them to the Philadelphia Clef Club of Jazz and the Performing Arts at 738 S Broad St, Philadelphia, PA to be scanned. This free event is on April 11th from 6 pm-8 pm. Enjoy some company, open buffet, music, and the cash bar while you are there. The Sam Reed Trio will be providing the music. Your items will be digitized at the event, and the copies will be made available to you for download. Spread the word…we hope to see you there! Every 2nd Thursday of the month, you can catch a wide array of films at The Rotunda, curated by filmmakers + presenters from all around the city as part of The Bright Bulb Screening Series. This April, CinéSPEAK presents the #Philadelphia premiere of TUBA TO CUBA — featuring New Orleans’ legendary Preservation Hall Jazz Band as they journey to Cuba tracing their musical roots. The leader of New Orleans’ famed Preservation Hall Jazz Band seeks to fulfill his late father’s dream of retracing their musical roots to the shores of Cuba. Join the band as they traverse post-embargo Cuba in search of the indigenous music that gave birth to New Orleans jazz. Encounters with some of Cuba’s most iconic musicians leads to spontaneous and soulful collaborations. A Tuba to Cuba celebrates the triumph of the human spirit expressed through the universal language of music and challenges us to dig deeper; to find that common ground we all have inside us, and there, resolve to build bridges, not walls. Jam-All Productions, led by renowned jazz bassist Jamaaladeen Tacuma, presents the fifth annual Outsiders Improvised & Creative Music Festival. Organized by Jam-All and curated by Tacuma, this year’s 5-event festival continues its mission of showcasing diverse styles of risk-taking, progressive music and groundbreaking artists in April for Philadelphia’s Jazz Appreciation Month. This year’s festival theme is “invasion of the outsiders,” celebrating the contributions of mavericks, interlopers, refugees, and strangers to the culture of music. The 2019 Outsiders fest begins on Saturday and Sunday April 13th & 14th at South Jazz Parlor, 600 N Broad St, Philadelphia, PA 19130, Saturday and Sunday Night: Saturday Night: Jamaaladeen Tacu,a Bass, Sumi Tanooka Piano, Ronny Burrage Drums, Braxton Bateman Trumpet, Tarus Mateen Bass. Sunday Night: Jamaaladeen Tacuma Bass, Oliver Lake Sax, Kelvyn Bell Guitar, Nazir Ebo Drums. There will be two sets each night at 7pm and 9pm. Admission is $25 and tickets are available online through southrestaurant.com or by phone at (215) 600-0220. The festival continues on Wednesday April 17th at the Clef Club of Jazz, 738 S Broad St, Philadelphia, PA 19146, with a 6pm screening of Ornette: Made in America, a film by Shirley Clark with a Panel Discussion featuring Denardo Coleman and members of Ornettes Prime Time Band who appear in the film. Admission is free and to reserve tickets contact The Clef Club phone: (215) 893-9912. On Sunday April 21st the Outsiders Festival moves over to Milkboy, 1100 Chestnut St, Philadelphia, PA 19107. Jamaaladeen Tacuma (Bass), Will Calhoun (Drummer of Living Colour fame), and Marc Ribot (Guitar) will play a set at 8pm. Admission is $20 and tickets are available at Milkboyphilly.com . Milkboy phone: (215) 925-6455. A Grand Finale highlighting Philadelphia’s contributions to Improvised & Creative Music will take place Friday April 26th at the Community Education Center (CEC), 3500 Lancaster Ave, Philadelphia, PA 19104; Lineup : Gary Bartz (Sax), Fay Victor ( Vocals), Jamaaladeen Tacuma ( Bass), New Ghost, Marco Oppedisano ( Guitar) , HPrizm ( Electronics), Retrograde, TR7 (Electronics), Julius Masri (Drums) , Richard Hill ( Bass) , Blake Flemming (Drums), Harold E. Smith (Sacred Sounds) Admission is $25 and tickets are available at eventbrite and CEC phone: (215) 387-1911. Philly’s All-City Jazz Festival 2019, an all-day event at the Kimmel featuring student performances and Masterclasses led by POPS Musicians and artists featured in the 40th Anniversary Season. Students, parents, and the public will be invited to attend the day and evening performances. The 7pm performance is a free, ticketed event with General Admission seating. Students and families: Please contact your school’s music department to reserve tickets. Select tickets are available through sign-up HERE(LINK TBD). For all other ticket inquiries, please visit the Kimmel Center Box Office. (Processing fee applies). University of the Arts “Z” Big Band and Temple University Jazz Band will perform a free concert in the Commonwealth Plaza for audiences of all ages. The program concludes with the All-City Jazz Showcase, presenting the most accomplished jazz students of the School District of Philadelphia. 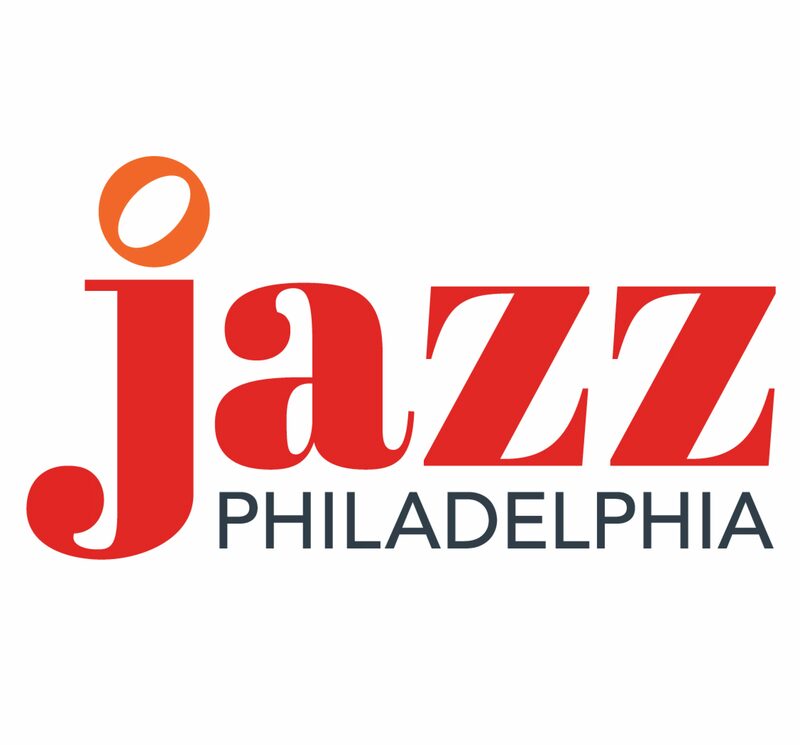 Leading up to the festival, POPS in Schools leads a full slate of engagement activities for the School District of Philadelphia’s jazz program. The Philly POPS thanks The Kimmel Center for the Performing Arts, a valued partner of POPS in Schools educational programming, providing support and space for this community enhancing work with the musicians of tomorrow. Jam-All Productions is presenting on Wednesday, April 17th at the Philadelphia Clef Club of Jazz, 736-38 S. Broad Street, Philadelphia, PA 19146, with a 6:00 PM screening of Ornette: Made in America, a film by Shirley Clark with a Panel Discussion featuring Denard Coleman and members of Ornette’s Prime Time Band who appear in the film. Admission is free and to RSVP contact the Philadelphia Clef Club at 215-893-9912 or info@clefclubofjazz.org. Ornette: Made in America is essential for anyone hoping to understand the history of jazz and the fertile creative exchange that highlighted the 60’s and 70’s in America. It is a portrayal of the inner life of an artist-innovator. The innovative techniques that director Shirley Clarke and producer Kathelin Hoffman Gray employed in this film very closely parallel the music of the man who is its subject. Clarke defied traditional documentary formats to reveal Ornette’s extraordinary vision through her equally extraordinary filmmaking artistry. Ornette: Made In America captures Ornette Coleman’s evolution over three decades. Ornette came home to Fort Worth, Texas in 1983 as a famed performer and composer. Documentary footage, dramatic scenes and some of the first music video-style segments ever made, chronicle his boyhood in segregated Texas and his subsequent emergence as an American cultural pioneer and world-class icon. Among those who contribute to the film include William Burroughs, Brion Gysin, Buckminster Fuller, Don Cherry, Yoko Ono, Charlie Haden, Robert Palmer, Jayne Cortez and John Rockwell. Philly Celebrates Jazz | Rush Arts Philadelphia Celebration Rush Arts Philadelphia 4954 Old York Rd. The Office of Arts, Culture and the Creative Economy and Rush Arts Philadelphia (RAP) present a Jazz Month Celebration featuring vocalist Lezlie Harrison, Dylan Taylor on bass and Al Johnson on drums. Special appearances of spoken word by D-Cross as well as RAP founder, and creator of Def Poetry Jam, Danny Simmons. The author of four poetry books, Simmons also has a forthcoming album on Blue Note Records with legendary jazz bassist Ron Carter based on Simmons’ book The Brown Beatnik Tomes. As part of Philly Celebrates Jazz, the Office of Arts, Culture and the Creative Economy is proud to present its third Neighborhood Jazz Series of FREE jazz concerts, dance lessons, film screenings and more throughout Philadelphia. Come out for art, dance, presentations, music, performances and vendors! The Women’s Coalition for Empowerment, Inc presents, Jazz Appreciation Month (JAM) curated by Ella Gahnt. The 5-Part Art Economic Empowerment Workshop Series is designed for emerging art professionals in need of financial management skills to develop better business practices using their talents/passions as a profitable enterprise. Outcomes from successful participation will support the promotion and implementation of workforce development within the arts, creative activities, and art production that generate profits for artists. Workshops will be facilitated by creative cultural producer Shekhinah B. of The Women’s Coalition for Empowerment, Inc. The Eighth Annual Center City Jazz Festival will present another excellent lineup of blockbuster performers on Saturday, April 27, 2019 as part of Philadelphia Jazz Appreciation Month. Attendees should expect a jam-packed schedule of over 20 bands performing at several venues over six hours, all within walking distance of each other in the heart of Center City. One ticket provides access to all performances. This fun and inspiring half-day conference will bring together a supportive community that can help create space for girls interested in jazz, enable jazz girls to learn from the pros, create opportunity for connection, and encourage progress for girls in jazz and music. This is a FREE event; however, seats are limited and REGISTRATION is REQUIRED! Please take a moment to register! JAZZ PERFORMANCES by FIVE PLAY with Sherrie Maricle (sister group of the world renowned DIVA Jazz Orchestra! ), the Monroe-Miceli Duo, Key of She Meets the University of the Arts Z Band, and others! MASTER CLASSES by performing artists! (For vocals, sax, trombones, trumpets, guitar, piano, bass, drums, other rhythm, plus non-traditional including violin, flute, etc.) Students, if possible, bring your instruments! BREAK OUT Sessions and PANEL Discussions for educators and parents! DOOR PRIZES and giveaways for attendees! Ticket registrants will receive a special promotional code to purchase discounted tickets for DIVA Jazz Orchestra at the Kimmel Center the evening of April 27! Once again, this is a Free event, but you MUST Register as there are limited seats! April 27, 2019, University of the Arts Terra Hall, 211 South Broad Street, Philadelphia, PA. Doors open at 12 p.m. Conference runs from 1 – 4:30 p.m. with a reception to follow. Donations are optional, but we appreciate your support to fund the event! Your tax-deductible donations can be made directly via the Key of She Jazz fiscal sponsor, Settlement Music School. You can send checks payable to Settlement Music School with the memo “Key of She Jazz” and mail c/o Roni Plousis, P.O. Box 63966, Philadelphia, PA 19147 OR donate through our Go Fund Me campaign “Key of She Jazz” https://www.gofundme.com/key-of-she-jazz-conference OR you can Bring a check payable to Settlement Music School with the memo “Key of She Jazz” and we will gladly accept on-site. THANK YOU for Supporting Key of She Jazz! To advance the development of the city’s thriving and vibrant local jazz scene and to gain recognition for Philadelphia as the world-class jazz destination it is.